Home / Blog: Grey Matters / What is Hospice Care for Pets? This article contains an excerpt from the ebook "The Loving Pet Owner's Guide to Pet Hospice and End of Life Care" by Dr. Jessica Vogelsang and Dr. Elizabeth Benson from Paws into Grace, a pet hospice program in San Diego, CA. The complete ebook can be downloaded from the Paws into Grace website. Additional material for this article was written by Dr. Vogelsang. I’ve met many people who have said to me, “I just can’t put my pet to sleep; this is a decision I do not feel comfortable making.” The desire to have a pet pass in his or her own time is also a valid choice, and of course this is the reality of human medical care every day. I have held the hand of two grandparents through the amazing process of hospice care, and I know firsthand how much a trained hospice provider can do for a family: provide counseling, education, support, all just as important to us as management of medical issues. This too is something we can provide in veterinary medicine. Pet hospice includes home euthanasia for those who wish it, but it is so much more. In order to understand animal hospice, we first need to realize that there are actually four stages of a pet’s life: puppy/kittenhood, adult, senior, and end of life. End of life is often misunderstood as only being about death itself, but it actually begins the moment a pet is diagnosed with a terminal disease. Hospice care bridges the time between the point an owner decides to no longer pursue a cure and the moment the pet passes on. This stage may be very brief, or quite extended: weeks or even months, depending on a variety of factors. This is a stage of transition: the goal changes from finding a cure to making each pet as comfortable as possible during this period. Although some people feel as though this is “giving up” or no longer pursuing care, we feel there is no greater good we can do for our terminally ill pets than to proactively prepare for the process, anticipate needs, and provide as much supportive care as the pet requires. 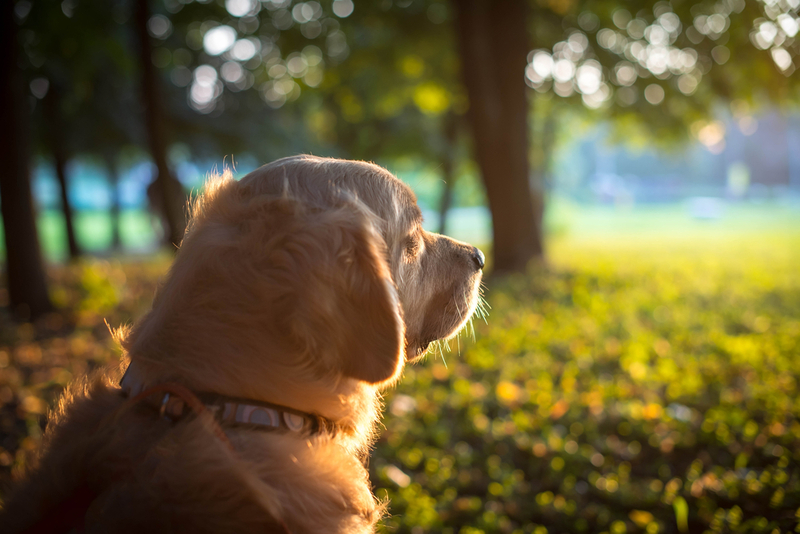 In fact, this service often extends the life of the pet; the hospice approach is so focused on improving quality of life that owners are often able to delay the choice to euthanize their pet or allow them to pass in their own time. They are very similar. After decades of fighting the medical establishment dictating that one should always fight disease to the very end no matter what, human hospice is now regular part of mainstream medical care. Animal Hospice, which is modeled after the human hospice example, is new but quickly gaining popularity. Is My Pet a Candidate for Hospice? The shift from cure to palliative care is a personal decision. Many factors aside from the severity of the disease may play a role in the decision to start hospice or palliative care including past experiences, time, finances, and support. It is a brave step to take when you bring a beloved pet home knowing there is no cure to give them. This may seem overwhelming but a veterinarian and hospice team are there to guide you. They are there to help relieve your anxiety, comfort you and your pet, and offer support through the process. The first step in transitioning to hospice care involves an initial consultation with a hospice care provider. Your regular veterinarian may also provide hospice care; if not, you may elect to utilize the services of a veterinarian who specializes in providing this care, usually at your own home. At Paws into Grace, we believe the best care is provided as a team effort between your regular veterinarian, the hospice care team, and you. During this initial visit, we determine together if your pet is a candidate for hospice care and what medications or treatments will keep your pet as comfortable as possible. The initial consultation is important to review all of the treatments and medications that are to be given by the family, and ensure that every effort is made to enhance the patient's well-being. The emotional needs of each family. Each family should feel safe to express feelings, concerns or questions about what may lay ahead. The hospice team can offer empathy, resources for counseling, or grief support. What Services Are Offered with Hospice Care? Treating symptoms of a terminal disease such as difficulty breathing, pain, nausea, anorexia, diarrhea, constipation, dehydration or stress. Helping families to prepare for those last moments by reviewing questions such as: Where will the pet be in the last moments? Do we want to schedule an in-home euthanasia appointment? Who will be present? What type of aftercare arrangements do we want? Do we want our children present? How do we want to talk to our children about a pet's death? What do I do if my veterinarian doesn't offer hospice care? The medications used in hospice care are available to any licensed veterinarian. Even if your veterinarian is not familiar with the term "veterinary hospice," he or she should be able to work with you to help your pet get the care they need. Instead of using the term hospice, describe the goals. "I want to keep my pet pain free," "I want to manage nausea," "What can I do to extend her quality of life?" Maybe you'll be the start of a new wonderful service for the hospital. Can I still euthanize my pet if she is under hospice care? Absolutely. In fact, many owners still elect to euthanize their pet under hospice care once their quality of life deteriorates to a certain point. Some owners prefer a natural death and others elect euthanasia, but in either case the goal is to make the days and weeks leading up to the pet's passing comfortable and meaningful. Hospice care simply means any care provided to a pet in the end-of-life stage that does not involve trying to cure a disease; the manner of death is just one of many choices in a care plan. How long do pets live with hospice care? It depends on their health. Some pets may be diagnosed early in a disease process and live comfortably for months, or maybe even years. Some pets who are progressing in their disease may be in hospice for a month or two. Pets in what we describe as "active death" are often with us for a matter of days, but the earlier a pet receives comfort care, the better they do. Interestingly, some studies have shown that pets in hospice care actually live longer than those who are not, as many owners feel they are able to extend a pet's quality of life longer than those who are pursuing disease cure. The complete ebook "The Loving Pet Owner's Guide to Pet Hospice and End of Life Care" can be downloaded from the Paws into Grace website. For more about end-of-life care, see our recent post about quality of life determinations for pets. You can find additional information on Grey Muzzle's resource page "Helping Your Dog Cross the Bridge." About Paws Into Grace: Paws into Grace was created for in-home pet hospice care and home euthanasia because pet owners prefer to have those final moments be in the comfort of home, with family by their side, and where everything is familiar. Dr. Elizabeth Benson and Dr. Jessica Vogelsang believe it is important to give every family and pet a comforting transition. Paws into Grace has been dedicated to serving San Diego, Murrieta and Temecula since 2007.